Dr. 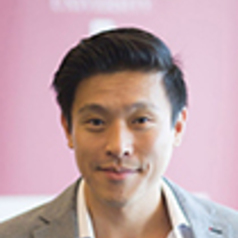 Son Truong lectures in Health and Physical Education (Curriculum and Pedagogy) in the School of Education, and is a member of the Sustainability Research Team in the Centre for Educational Research, at Western Sydney University (WSU). Son is a former Social Sciences and Humanities Research Council of Canada (SSHRC) Doctoral Scholar. His research includes a number of individual and collaborative projects, bridging research interests in children’s play, wellbeing, and environments, and internationalisation in higher education. Son is a recognised educator, receiving the 2009 Leadership in Internationalisation Award from the Canadian Bureau for International Education, and in 2015, he was awarded a Western Sydney University Citation for Outstanding Contributions to Student Learning. He currently lectures in the Master of Teaching Primary School and Early Childhood Programs, and supervises postgraduate research students. Over the past five years, he has been successful in receiving three competitive Western Sydney University research grants, as well as four externally funded grants on collaborative projects, totaling over $360,000. Examples of projects include: the Rouse Hill Child Friendly Play Space project; the overseas study and service-learning EPITOME project; a book entitled Reimagining Sustainability in Precarious Times; the wellbeing of students through outdoor learning and Acceptance Commitment Therapy study; and a current study funded by the Royal Botanic Gardens on the impact of community gardens on personal and community wellbeing.